Be a Local not a tourist...Granada food tour! 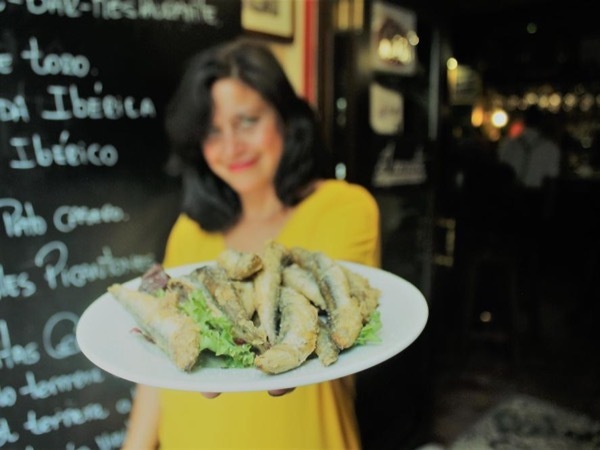 I was originally hesitant about booking a tapas night tour, but this was a real highlight of our time in Spain and Granada. We not only had some wonderful food and drink, but Gabby taught us how the "locals" eat and socialize a the tapas bars. We visited 4 bars, each one different, but all within reasonable walking distance. Gabby did the ordering of the food and drink recommendations and we did the eating and drinking. It was a wonderful evening. Highly recommended. TOUR GUIDE RESPONSE: Thanks a lot for your wonderful feedback! The tapas tour was great because you and Sally are a great team, one loves food and the other enjoys wine, perfect combination! Good and entertaining chat has made things very easy and fun. I wish you all the best and hope to see you again someday.